Prof. Robert Topper along with John J. Biswakarma BSE'15 and Vlad Ciocoi ChE'15, MEng'15, recently published a paper titled “Energetics, Thermodynamics, and Hydrogen Bonding Diversity in Ammonium Halide Clusters” in The Journal of Physical Chemical A. The research was conducted while John and Vlad were still undergraduates. In this work, nanoparticles that are known or suspected to be formed within polluted atmospheric conditions in various parts of the world were studied. A combination of Monte Carlo search algorithms and quantum mechanics calculations were used to predict the structures and stabilities. 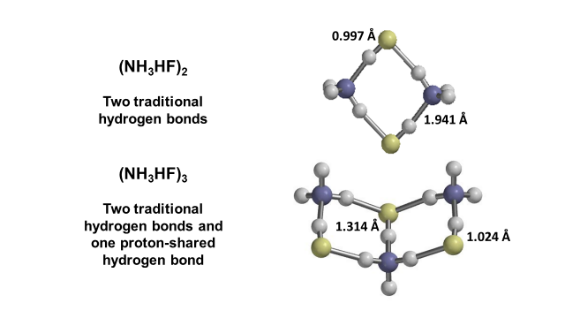 In addition to showing the nanoparticles form spontaneously at room temperature, they were also found to exhibit three different kinds of hydrogen bonds. Understanding hydrogen bonding is important because these kinds of bonds control the structure and functions of DNA, RNA, many proteins and even water. 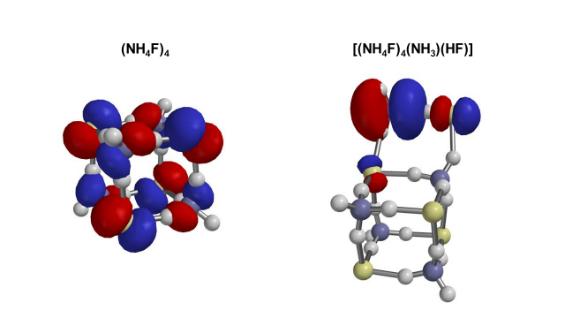 Contributions from different intermolecular and interionic forces, as well as variations in bond energies, produce size-dependent variations in the structures of acid–base molecular clusters. In this work the structures and interaction energetics of cluster particles with the nominal formulas (NH4X)n, X = (F, Cl, Br) are predicted using either “mag-walking” sawtooth simulated annealing Monte Carlo calculations or model building, followed by M06-2X or RI-MP2 geometry optimization and single-point energy calculations. 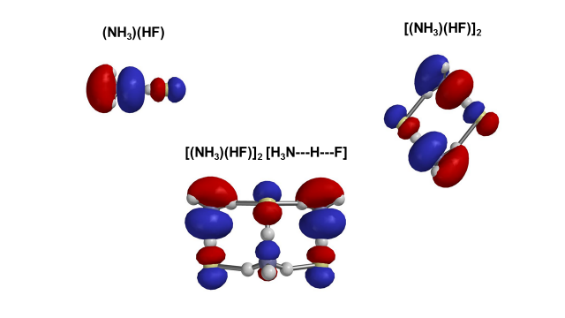 Whereas the n = 1 clusters all exhibit a single hydrogen bond, small (NH4F)n particles (n = 2–5) exhibit three distinct types of hydrogen bonds as a function of size (traditional, ion-pair and proton-shared). 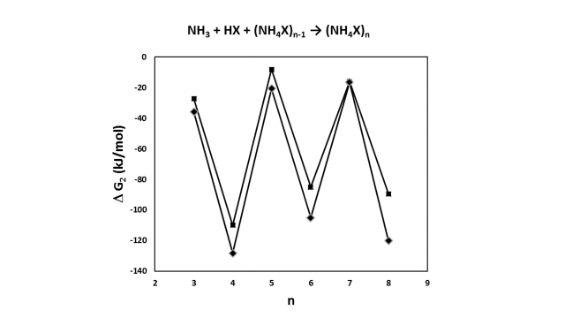 However, (NH4Br)n and (NH4Cl)n particles (n = 2–13) all solely exhibit ion-pair hydrogen bonding, with even values of n exhibiting pronounced relative stability. The computed differential interaction energy of the bromide and chloride systems is generally near the bulk limit of the difference in their accepted lattice energies, despite the fact that their structures do not resemble the bulk crystal structures. Nanoparticle growth reactions are predicted to be thermodynamically spontaneous under standard conditions, with significant size and system dependencies. This work is designed to further our understanding of the nature of hydrogen bonding and other intermolecular forces, particularly within ionic nanocrystallites, as well as the thermodynamics of cluster formation.